Despite a massive blue wave in reaction to the 2016 presidential election, the truth is that taking over the Senate majority in 2018 was always a bit of a pipe dream. To win the senate, Democrats had to not only flip at least one seat from the Republicans, they also needed to defend every single one of their seats, too, many of them in red states across the country. Obviously that didn’t happen. The 2018 landscape was one of the most brutal maps that the Democrats could face, and the fact that they lost only two seats overall is really a bit of a miracle. Now, if they want to try to wrestle control from the GOP in 2020, they need to make up a three or four seat deficit (depending on who takes the White House and holds the tie-breaking Senate vote) in the next election. Will that be any easier than in 2018? 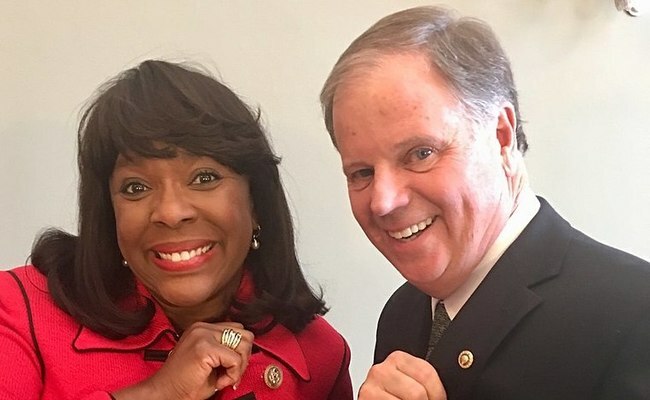 On the bright side, there is really only one extremely likely turnover for Democrats – the Alabama seat held by Democrat Doug Jones. Alabama remains Trump country, and while Jones has the incumbent’s advantage, he’s only been in office for a partial term. It’s unclear if Jones would have still nabbed the dark red seat if he hadn’t been up against Roy Moore – a man accused of taking advantage of teen girls in his late 20s and 30s – but you can be certain Jones will face a much harder challenger on the next go around. But while there is only one really risky Democratic incumbent race up in 2020, there’s not many vulnerable Republicans, either. The most likely red to blue flip could be Cory Gardner in Colorado – as the state continues to grow more progressive (including electing a new Democratic governor in 2018), Gardner’s grip on his senate seat could be slipping. The next most likely pickup would be in Maine, in a possible defeat of Susan Collins, who could well be in trouble from both the left and the right. Collins continues to anger social conservatives who are unhappy with her support of legal abortion, and as one of the last pro-choice Republicans in Congress she will probably be facing a primary challenger over that stance. Meanwhile, her vote to confirm Brett Kavanaugh for the Supreme Court is not likely to have won her any favors with Democrats in the state, either. Collins has long held onto her seat in this Democratic stronghold by being a moderate, but 2020 could be the year that Democrats manage to oust her for good. If Democrats can somehow keep Alabama and flip both Maine and Colorado, though, it still wouldn’t be enough – at least, not if they don’t nab the White House, too. That means to get to 51 progressives, they need to have victories in some hard states. Good candidates include Iowa, where Joni Ernst will be running for reelection and could potentially fall to the right Democrat since 2020 is a presidential year, or Arizona, where former Senator John McCain’s seat continues to shift hands, this time landing in the lap of Republican Martha McSally. McSally just lost a squeaker of a senate race in 2018 to Democratic Senator-elect Kyrsten Sinema, so it wouldn’t be unfathomable to see her lose to a second Democrat in 2020. Perhaps the best place for a pickup could be in Georgia, where Republican Senator Sonny Perdue is up for reelection. If Stacey Abrams – who by all rights would be governor in 2019 if the GOP hadn’t engaged in such blatant voter suppression – could be convinced to run against Perdue, that could be the new hot upset for the next election cycle. So yes, winning a majority in 2020 is still a long shot for Democrats. But the deck isn’t nearly as stacked against them as it was in 2018. And since we nearly pulled it off that time, maybe 2020 will be the year we get it done. Rhoberta E That's the point. Most people support Medicare for all, but most of the Democrats that you defend, like Nancy Pelosi refuse to support Medicare for all, because they are crooks like the Republicans. You keep repeating the same tired bromides and false diatribes in your rant, about how I voted for the Dems and Hillary. I only did because I had no choice. Why don't you support a third party and Jill Stein, so people would have a real choice, instead of voting for the lesser of the two evils. Stop obsessing about who I voted for, and defending corrupt corporate establishment Democrats who are as corrupt as the Republicans, and start supporting honest progressives like Jill Stein, Ocasio Cortez, Tulso Gabbard, Ro Khanna, and Bernie Sanders. In ALL your repetitive rhetoric in your last post you still didn't own up to voting FOR Ms. Clinton and her party. Most US citizens want affordable, comprehensive health care so maybe you should change your tune to something else. Too many republicans are retiring here, and they all vote, so getting anyone other than another right wing whack job to win in Florida is like hoping for 10' of snow.